For a long time, an online presence for businesses, brands and individuals was established with a website. The website was your own little home to coat in all your branding and contact information, and stuff it with your content/products/services. It also became a bridge between the mighty Google and the market you were trying to get in front of. Then the blog became a mainstream tool on these websites. It became an incentive to keep people coming back to your site and engaging with you. It became a way to continually provide on-trend content to your audience. With this increase in traffic, it also became a way to measure success and monetize your site with ads. Slowly, we’ve seen that audiences prefer to hang out on social media rather than blog sites. Simply because it is the easiest place for them to follow along with and engage with all of their favourite bloggers/brands, while participating in the news feed with their own posts. So the website and blog were matched up with another component: social media marketing. Along the way, emailing your audience has become more and more important. This is because email is the only form of communication you have control over, and your email contacts belong to you rather than to a social media platform. Email is considered the most intimate form of online communication with your audience. So, the modern blogger/brand now has a website/blog, social media platforms, and an email list. 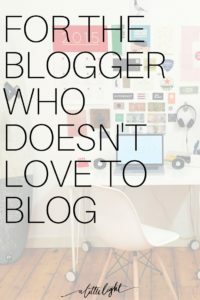 This post is for the blogger who isn’t keen on maintaining a blog. If your goal isn’t ‘traffic’ then you can get creative with how you build up and connect with your community and share relevant content that will actually be read and engaged with. So let’s rethink the need for everyone to have a blog. If your goal is solely traffic to make money on site ads, then you would have a goal of driving people to your site. If your goal is audience engagement, then it’s time to rethink where your audience is and the type of content that would best serve them. For those of you who are reluctant to let go of your pageviews counter and new blog post promotion hustle, here are some things to consider . . . There has been a lot of focus on SEO. It is a long-haul game at getting your site some credit with google. We may have all been hustling to improve our standings on search engines, meanwhile, our new audience is finding us on Pinterest, through their friends, and on Instagram. If you are worried that putting a blog on the back burner will harm your SEO – making you difficult to be found, then consider the power of continually repinning your evergreen content to Pinterest, pinning your Instagrams (yup it’s a thing, thanks to Tailwind! ), having your engaged audience refer their friends to you, and making wise use of the Instagram hashtags in order to be found. There was an era of blogging where pageviews were what made you credible. You were taken seriously as an ‘influencer’ if your traffic was impressive and brands would be willing to pay you to broadcast their product in front of your audience. 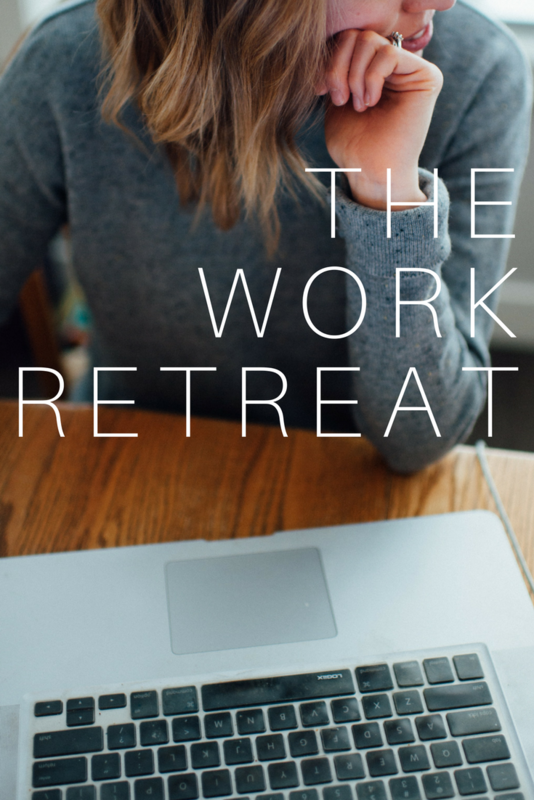 We are moving into an era where engagement is what makes brands want to work with you. Engagement shows that you are credible to your audience in the sense that you have a two-way relationship with them. Now you are considered a ‘peer’ and peer-to-peer marketing is one of the most powerful forms of marketing. (To wrap your brain around this, consider your likelihood of buying a certain tube of mascara from simply seeing a magazine ad for it versus your girlfriend or favourite podcaster telling you how much she loves it). The rise of the blog for every business, brand and writer made sense. A blog allows you to lay out regular content in a way that is searchable and indexed and you could always drive traffic back to it. Over the past few years, we have seen other influencers have success with a host of other ways to engage with their audience: social media, email lists, ebooks, accountability groups, meet ups, conferences, podcasts, etc. Instead of a website with a blog, consider having a website that is a landing page for your brand. If you have a website of base content then instead of blogging, you can create regular content in unique ways that your audience will be more engaged with. I love to stumble across a great blogger and get lost in their writing and their posts. But what if they had a lot less content on their page and asked me to join them elsewhere to keep updated with their content? Without a surplus of archived content would I still be intrigued, maybe even feel like I needed to get in now to stay connected? Would I be more likely to take that moment and follow them elsewhere (email, facebook, podcast, etc.) than I would be to come back that site for future updates? A perfect example of this is Amy Lynn Andrew’s site. She has some stellar content on there related to blogging and working online, but her curated newsletter called the Useletter is always jam-packed with the latest news, tips, and links. This makes me anxious to get on her list rather than dilly dally about her website to try and get all her brain nuggets – and then probably not come back again. Out of sight, out of mind applies to the online world as much as to the contents lining the back of our pantries. Posting on a regular basis is recommended for anyone with an online platform. However, that doesn’t mean it must be a blog post. You don’t have to blog each week to keep yourself connected with your audience. Social media and email are ways to keep continually connected. This is something A Little Light does, for example. We show up (at least) every week in our community Facebook group, and every other week in our community newsletter, and almost daily on Instagram. As for regular blog posts?… well…..(crickets). Despite this, there is no downturn in community engagement or growth. A website can be set up with some great content that hooks you and leaves you wanting more. Use your site to inform people of your core messages and key posts. Create a base of evergreen content and continually promote it across social media. Then include the options to have the audience engage with your regularly updated content in a fresh and more engaging way that meets them where they are and aligns with your strengths and interests . . . . .
Are you good at curating content? Are you good at creating conversation? Are you good at visuals? Are you sharing a journey? Are you sharing inspiration or teaching a skill? 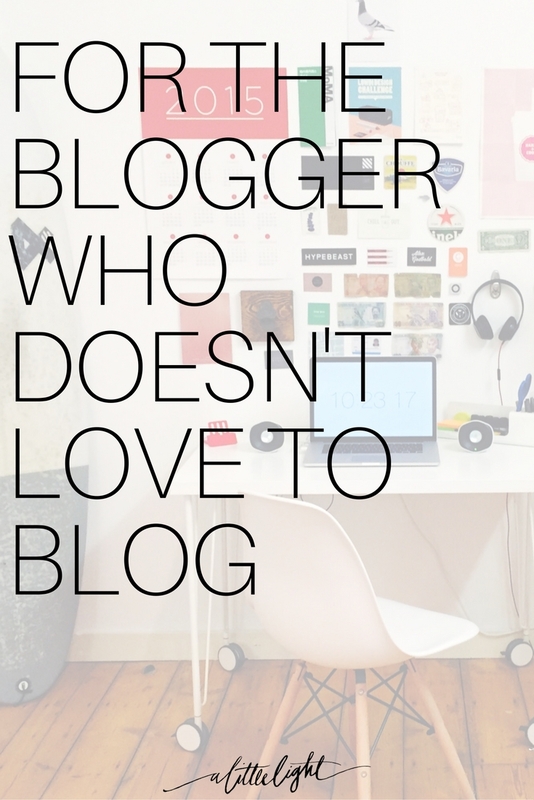 If you love blogging, then stick with blogging. If it turns out that your audience isn’t engaging with your blog, or you are finding it tedious and a struggle – then consider trying some alternatives. You might even consider taking this fresh unique content and archiving on your site in place of a blog. At the end of the day, we can find more value in our work when we avoid the hustle for more traffic and focus on building up trust with our audience. A Little Light is a community for Canadian Christian women looking to use their gifts and online platforms with passion and purpose. Follow us on Pinterest! Hey I just recently started blogging and I’m kinda off stuck, because I’m running out of topics to write on or I forget about the things that I wanted to blog about so i’m hoping you could help me in that area and I really liked the tips that I just read about as I’m really looking to engage people and share with each other our stories and everyday life incidents. My blog is about looking at every day incidents and how we can add our christian values to it to make everyday less hassle free and also how we can change our situations that we face everyday through a christian approach and learning to cope with our failures. Also I really appreciate it if you could check out my blog and share some of your thoughts.